We are recognised as the experts in laser hair removal. The laser removal process uses pulses of laser light to damage the hair follicle - resulting in permanent removal of hair in the area of choice. The procedure is fast, relatively painless and has become the industry standard in many clinics for unwanted hair removal. As age catches up with us we may find ourselves longing for smoother, tighter skin. Our revolutionary machines offer laser rejuvenation treatments that enable you to target specific areas. The treatment promote the production of collagen and cell repair for a revitalised and youthful appearance. Electrolysis at The Laser Hair Clinic costing from £20 is a form of hair removal that permanently removes unwanted facial hair from the root where the matrix is. The matrix is where the hair gets its oxygen and food. The procedure is simple. A small hair thin like metal probe is slid into the hair follicle and a small amount of short wave diathermy current is delivered to the follicle through the probe, which causes localised damage to the matrix which causes the hair to be destroyed. One of the most successful nail care brands in the world, OPI are widely sort after by professionals and consumers alike for their high quality nail care treatments and beautiful range of colours. 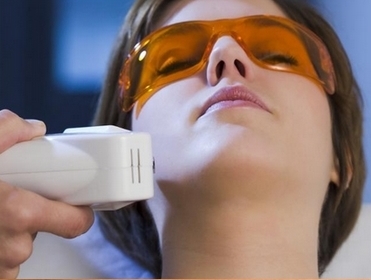 We've carried out over 100,000 laser hair removal treatments since opening our doors in 1997. Is that a good reason? Or that the majority of new clients come from the personal recommendations of existing ones who are delighted with the service and results they have achieved and are happily telling family and friends about us! Please read our genuine client reviews here. Come to the most experienced and the UK's longest established independent laser hair removal clinic in the UK for a relaxing and transformation experience.